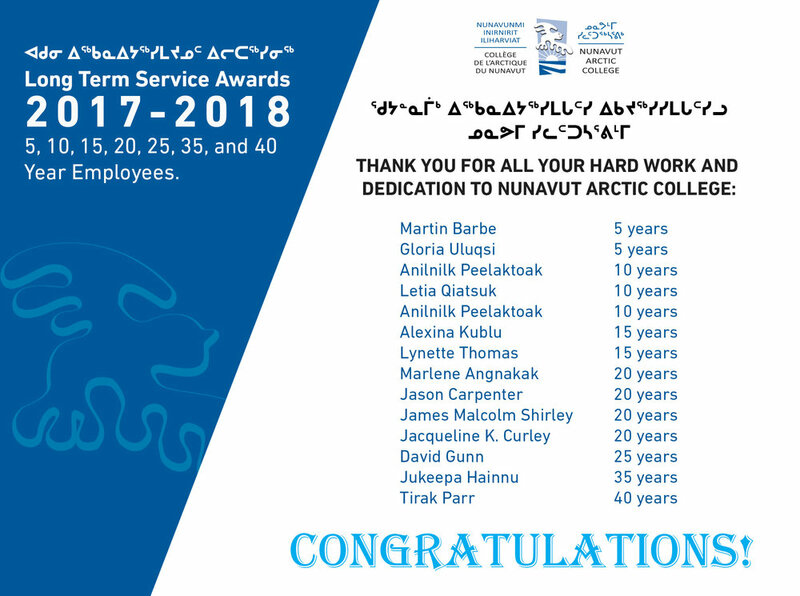 Nunavut Arctic College would like to congratulate and recognize the following employees for their 5, 10, 15, 20, 25, 35, and 40 years of continuous work and dedication. To recognize the long term commitment of its employees, the Government of Nunavut (GN) honours those individuals who have served long periods of uninterrupted service or employment in the public service. This recognition serves as an acknowledgement of employee dedication. New Community Learning Centre in Grise Fiord! Winter is Coming! ETP Learners at Field Camp.